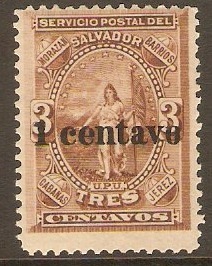 El Salvador 1889 1c on 3c Brown. SG21. Mounted mint 1889 1c on 3c Brown. SG21. 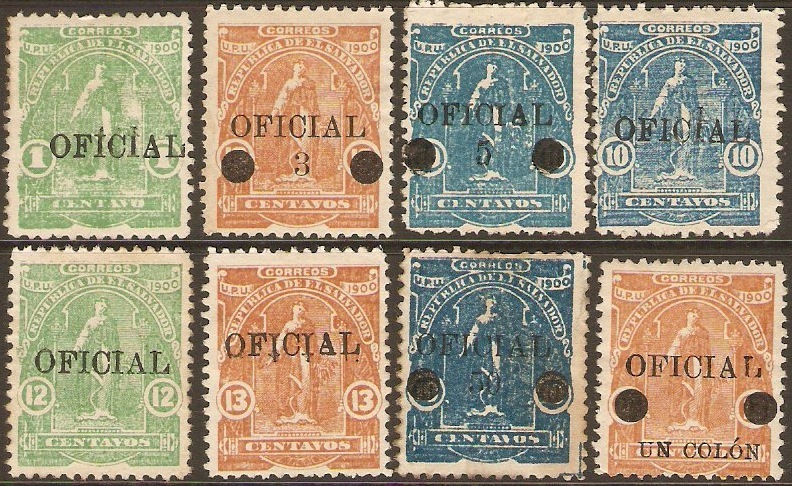 El Salvador 1890 Definitives Set. SG30-SG38. Heavy mounted mint 1890 Definitives Set. SG30-SG38. 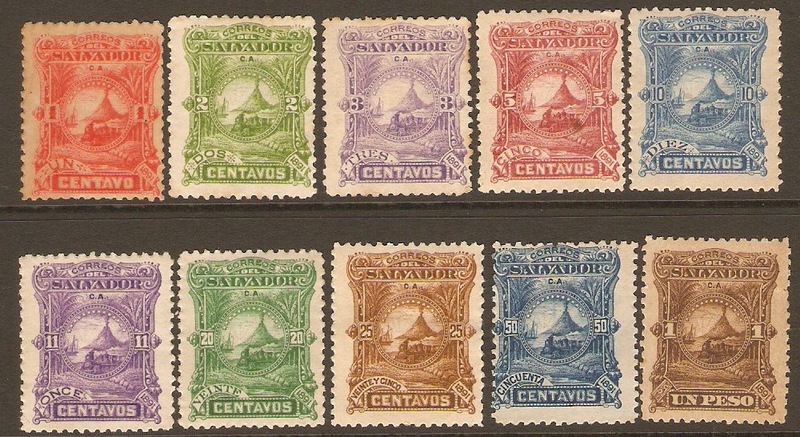 El Salvador 1891 Definitives Set. SG39-SG48. Heavy mounted mint 1891 Definitives Set. SG39-SG48. 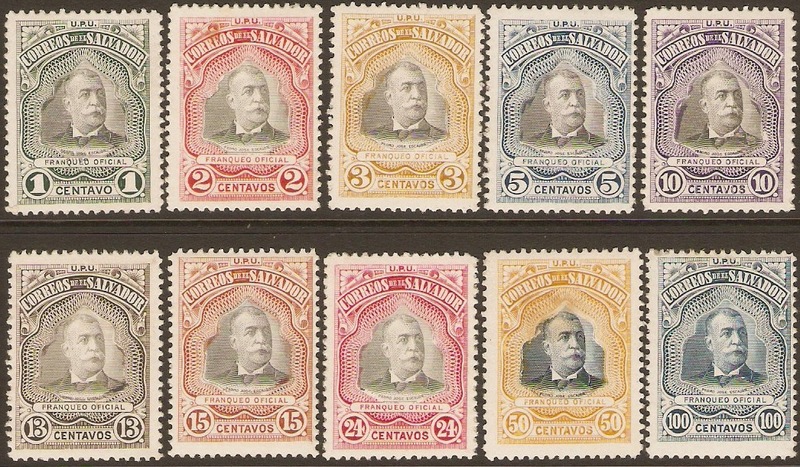 El Salvador 1892 Definitives Set. SG52-SG61. Heavy mounted mint 1892 Definitives Set. SG52-SG61. 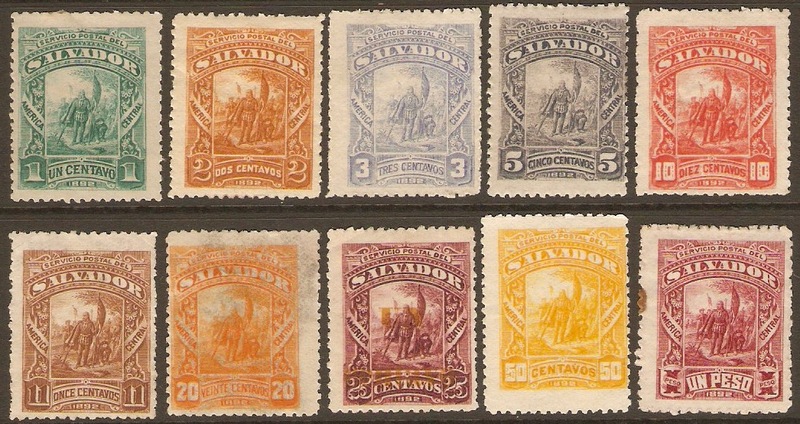 El Salvador 1897 Official Set. SGO232-SGO243. Heavy mounted mint 1897 Official Set. SGO232-SGO243. 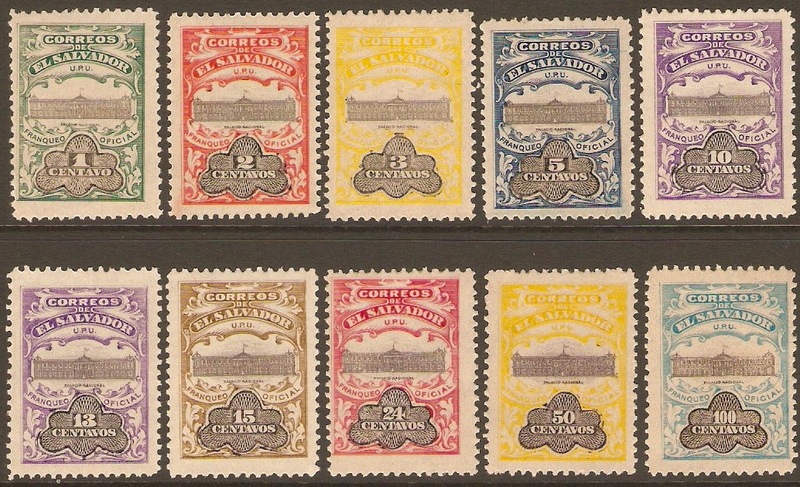 El Salvador 1906 Official Set. SGO582-SGO591. Unmounted mint 1906 Official Set. SGO582-SGO591. 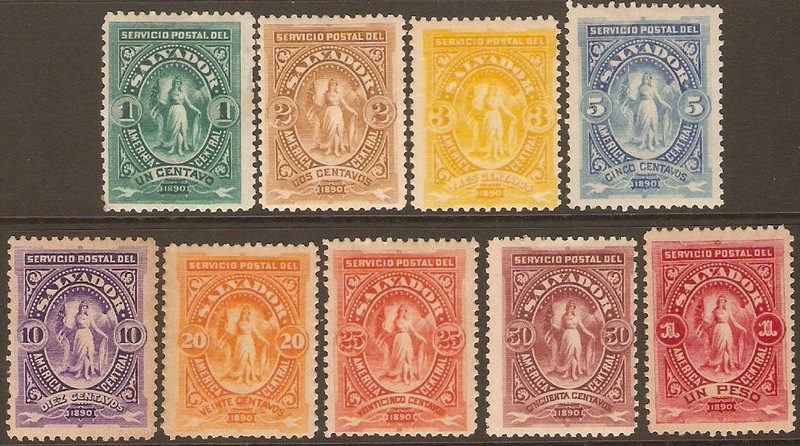 El Salvador 1908 Official Set. SGO611-SGO620. Lightly mounted mint 1908 Official Set. SGO611-SGO620. El Salvador 1911 Insurrection Anniversary Set. SG655B-SG657B. Mounted mint 1911 Insurrection Anniversary Set. SG655B-SG657B. El Salvador 1911 Official Set. SGO667-SGO674. Heavy mounted mint 1911 Official Set. SGO667-SGO674. 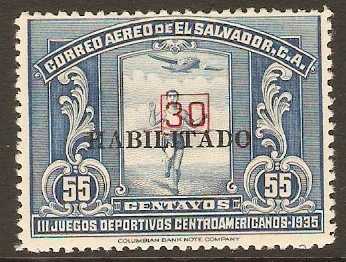 El Salvador 1937 30 on 55c Blue. SG873. Mounted mint 1937 30 on 55c Blue. SG873. With HABILITADO and 30 overprints.